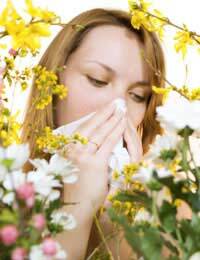 You may be one of the many people in Britain who suffer from allergies or immunological diseases each year. Perhaps you even have a personal interest and passion for science and medicine. If so, a career as an immunologist or allergist could be the best decision for your future. In this career, you will first train as a medical doctor, before going on to receive specialised training in the fields of allergy and immunology. Here, you will work with patients who have immune and allergy challenges. You will diagnose specific conditions and you will conduct allergy testing for medical diseases such as asthma, while you focus on strengthening your patient's immune system. Given that allergy conditions and numerous immunological diseases are rising each year, the demand for qualified and dedicated allergists and immunologists to conduct allergy testing and other diagnostic tests – plus treatment – is excellent and it is expected to continue growing. An allergist or immunologist works in the same general areas as any physician with regards to evaluating, diagnosing and treating disorders. The difference, however, is that their focus is on medical disorders that pertain to the immune system – diagnosis of an allergy is a common role for an allergist or immunologist. Conditions that an allergist or immunologist may treat include asthma, eczema, reactions to drugs and foods, immune diseases, organ transplant rejection or cancers of the immune system. Given that research into our immune systems is rapidly evolving, an allergist or immunologist has the exciting challenge of keeping on top of the new treatments and developments in the field, most of which will influence clinical practice. In particular, new types of allergy testing are developed regularly, which means an allergist or immunologist must stay abreast of the latest research developments. Still, the training is far from light because a person usually completes an undergraduate study program in the sciences before going on to complete years of medical school and then several more years of internships and specialty training in immunology and allergies. The salaries are superior to that of a general medical doctor and the job is generally a very stable one, particularly given the demand for qualified allergists and immunologists. Hours for this profession can be quite overwhelming initially, namely during the years following completion of medical school when a physician is receiving specialised training in the chosen field of allergies and immunology. However, afterwards an allergist or immunologist can enjoy more flexible hours and will usually work a Monday to Friday week with standard full-time hours. An allergist or immunologist can expect to perform allergy testing, patient diagnosis and the management of many diseases stemming from an allergic or immunological cause. They will conduct patient exams, order diagnostic tests such as blood tests and will analyse results to formulate an accurate diagnosis. As with any physician, an allergist or immunologist will also keep records and maintain patient confidentiality. The fields of allergies and immunology are unique and interesting. In one appointment, an allergist or immunologist may be conducting allergy testing and treating a patient for an allergic reaction to a bee sting, another for hay fever next and then later that day, a patient with an autoimmune disorder such as Parkinson's disease. As an allergist or immunologist, your day will regularly be filled with a diverse group of patients, many of whom will be confused about their condition and will need a clear, compassionate voice to provide education and guidance for managing their condition. Also keep in mind that some immune diseases are particularly devastating and you need to be able to handle the emotional aspect of conveying a poor prognosis as well as providing information to patients about pain management. Still, the benefits will far outweigh the challenges for many people who choose a career as an allergist or immunologist. If you work in the field, you can expect a stable, excellent salary, diversity in daily work and the ability to learn new information as research continues in the fields of allergies and immunology. How to be an allergist in UK for overseas doctors?